Another major advantage of the liposomal delivery system is the way it delivers the nutrients on an intra-cellular level. Endocytosis is a process in which the liposome gains entry into a cell without actually passing through the cell membrane. The cell engulfs the liposome forming a membrane-bounded vesicle called an endosome. 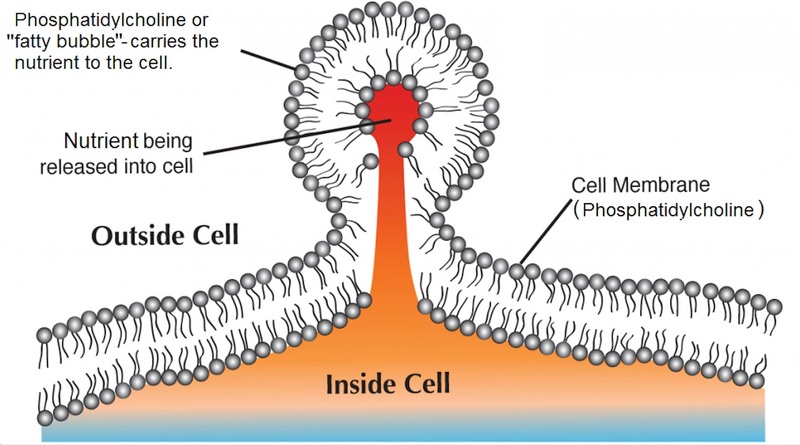 The liposome wall adheres to that of the cell and releases its payload into the cell. The melding of the liposome membrane with the membrane of the cell, carrying the contents of the liposome into the cell. The contents of the liposome and cell exchange their lipid contents. In a nutshell, a liposome allows the nutrient to be delivered directly to exactly where it is needed, inside the cell.